A couple of weeks ago I had the pleasure of sitting in on the Faculty Training Institute’s team building event at Lanzerac Hotel and Spa in Stellenbosch. It was raining on the day, and our team building facilitator did an excellent job at creatively utilizing the indoor space that was allocated to the team. One of the team building exercises that I enjoyed observing was the Blindfolded Minefield. In the Blindfolded Minefield activity, participants have to navigate through a minefield of objects while they are blindfolded. To get through the minefield, they have to listen to the instructions of their team members who have to guide them around the obstacles. To make it even more challenging, two teams competing against each other, start at the same time from opposite sides of the course. The blindfolded team member has to listen closely and make sure he/she is following the instructions of their own team and not of the other team. The further the blindfolded team member moves in the course, the further away from the team members he/she moves. Hearing their own team members becomes more difficult, but the voices of the opposing team become more prominent. Once one of the team members crosses over to the other side, they can start giving instructions from that side as well. This should make it easier for the rest of the team to cross the minefield while at the same time interfering with the instructions given by the opposite team. If the blindfolded team member steps on one of the obstacles they have to go back to the beginning and another team member can take their place. The Blindfolded Minefield exercise is about team work and communication. Participants learn to recognize and follow the instructions of their team members. They have to focus on the voices of their own team and tune out the other voices. If they follow the wrong voice they end up standing on a landmine. The Egg and Spoon Race is one of the popular exercises in TBAE’s “Boeresport” Games team building event. 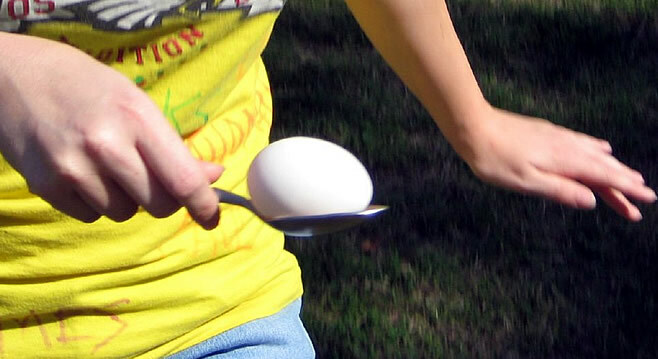 The Egg and Spoon Race is an uncomplicated activity, where the main objective is to balance an egg (or similar item) on a spoon and race with it to get to the finish line first. This is not only a popular team building activity, but is also often found at school events where it is combined with other traditional games such as Sack Races and Three-legged Races. Although some might argue with this, the Egg and Spoon Race was not birthed in South Africa. The Oxford Dictionary states 1894 as its earliest recorded usage although earlier practice has been claimed in Colonial USA. In 1897, the Egg and Spoon Race was part of Queen Victoria’s Diamond Jubilee; it was also part of the Silver and Diamond Jubilee’s of Queen Elizabeth the second. A set of wooden eggs and spoons dating from the 1920’s is exhibited in the Good Time Gallery of Museum of Childhood in London. Until the 1950’s Egg and Spoon Races were regularly held among employees of Trinity College in Cambridge. The rules of the Egg and Spoon Race are straight forward. The race takes place between individuals or between teams in the form of a relay race. Whenever a participant drops their egg they either have to stop and reposition the egg to continue, or they need to go back to the start, or they can even be disqualified, depending on the rules agreed upon for that particular event. To make the event more challenging, contestants may be required to hold the spoon with both hands or hold the spoon in their mouth. For those who take their Egg and Spoon racing seriously, we have a few tips which will give a contestant the winning edge. Firstly it is vital that the egg and spoon is carried with soft hands and relaxed muscles. This makes it easier to sense the position of the spoon and eggs in space, enabling the contestant to make quick corrections. Relaxed arms and hands, also promote relaxation of the shoulders, chest, neck and shoulders. The next critical point to remember is to, always, keep your focus on the finishing line and not let the eyes stray towards the egg or other contestants. 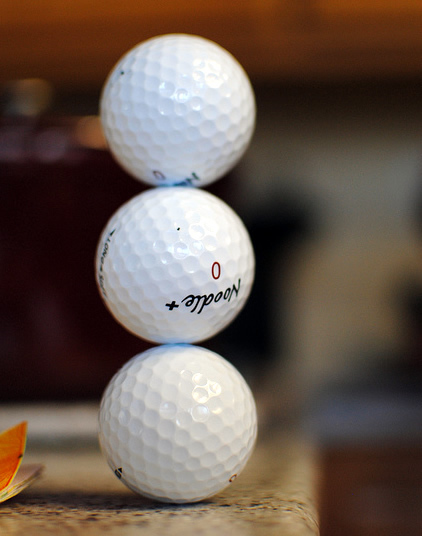 The body is best kept in balance by focusing on an object that is fixed and further away, and remember the body tends to follow where the eyes are looking. To be a winning Egg and Spoon racer, it is also necessary to have the right footwear. They need to be thin and flexible so that the contestant can feel the terrain he/she is running on, which assists in making necessary adjustments. There are a number of world records for Egg and Spoon Racing with the New Yorker Ashrita Furman the owner of a large share of them. Ashrita Furman’s records include as at 7 July 2012 the fastest 100m in 19.39 seconds, fastest 100m with a spoon in mouth in 25.3 seconds, fastest mile in 7 minutes 8 seconds and fastest mile with a spoon in the mouth in 9 minutes 29 seconds. In 1990, a London Marathon runner completed the marathon in 3 hours and 47 minutes whilst balancing an uncooked egg on a dessert spoon. 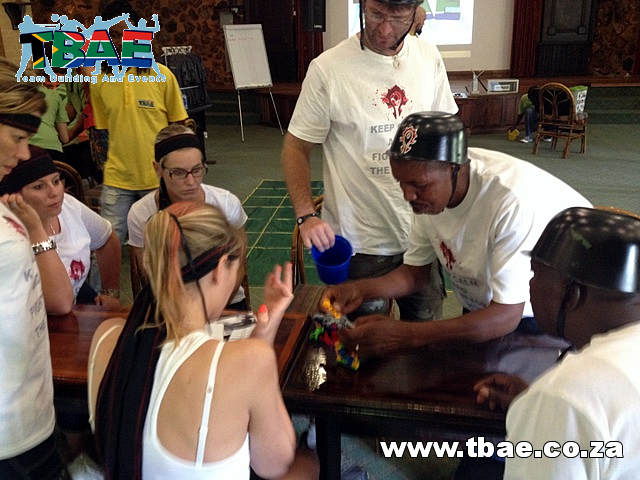 Tug of War is one of the popular exercises in TBAE’s Boeresport Games team building activity. The Boeresport Games activity was designed to bring back old memories with a combination of traditional games where teams compete against each other with a variety of different exercise. In this blog, we will focus on Tug of War as one of those exercises. The Oxford English Dictionary describes the original meaning of the phrase Tug of War as “the decisive contest, the real struggle or tussle; a severe contest for supremacy”. Tug of War has evolved into a competitive sport, team building exercise or popular recreational activity. Although there is no definite record of where Tug of War originated from, there is evidence that a form of Tug of War was practiced as far back as the Tang Dynasty in the 8th century BCE to 5th century BCE. Emperor Xuanzong of the Tang Dynasty is recorded as promoting mass Tug of War games with ropes up to 167 meters in length. Teams consisted of as many as 500 people, with each team having their own set of drummers to cheer them. Tug of War type games were also popular in India as far back as the 12th century AD. There are also stories of Viking warriors, from Scandinavia and Germany, pulling animal skins over open pits of fire as an exercise to prepare them for battle. It is only from the 19th century onwards that the term Tug of War became used for athletic contests between two teams at the opposite ends of a rope. Formal competition rules for Tug of War requires that there must be two teams of eight people each. Teams are classified into different weight classes that compete against each other. The rope used in formal competitions is usually around ten centimeters in circumference and marked with a center line. On either side, four meters from the center line, there is another marking on the rope. The pull starts with the center line directly above a line marked on the ground. The winning team is the team that pulls the other team’s marker over the marking line on the ground. A team will also win when the other team commits a foul such as one of the members falling or lowering an elbow lower than the knee. Other possible fouls include touching the ground for an extended period or not keeping the rope underneath the arms. When used in team building or as a recreational activity, these rules will most likely be more loosely adhered to in keeping with the spirit of the activity. There are many Tug of War clubs all over the world where men and women participate in this sport. It was part of the Olympic Games from 1900 to 1920 and is still contested in the World Games. The Tug of War International Federation organizes biannual World Championships for nations to compete. These competitions take place indoors as well as outdoors.